A classic fourteenth Vedantic text on the realization of the Supreme Truth. 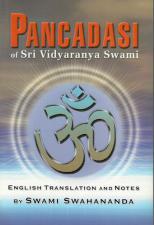 The Pancadasi is a post-Sankara Advaita Vedanta classic within the Vedanta literature. It is regarded as a comprehensive manual of Advaita Vedanta. This is not an easy book to read for most people. 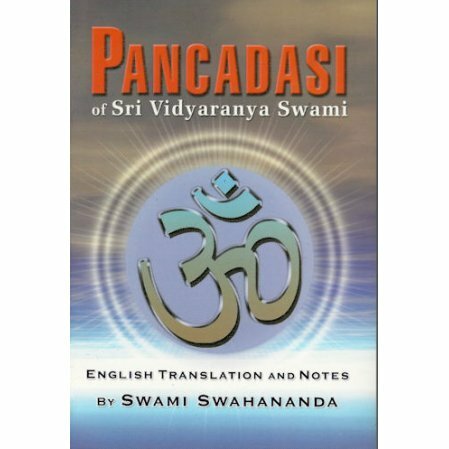 This work is a fourteenth-century Advaita classic by Vidyaranya Swami on the metaphysics of Vedanta and the methods which lead to the realization of the Supreme Truth. Sanskrit text, English translation and notes based on the Tika of the eighteenth century philosopher Ramakrishna. Introduction by the noted Advaitic scholar T.M.P. Mahadevan. The original text is given in Devanagari script followed by an English rendering which aims to be faithful to the spirit of the original rather than to the letter. Brief explanatory notes have been added whenever the terms and passages seemed obscure. An index to slokas and a glossary are appended at the end.